Christian formation at Grace is offered for all ages and is how we grow as disciples of Christ. We have great curriculum and terrific mentors to help to nurture our children and youth as they learn about our faith. For grades 4-12. The Diocese of Iowa rents out Pictured Rocks Camp in Monticello for a week of fun and adventure. Many adults take vacation from their regular jobs to come out and do a job that is rewarding and fun with the ability of working with a great group of kids. Kids participate in many activities and are well supervised. The highlight for most of the kids is a day long float down Maquoketa River in tubes. 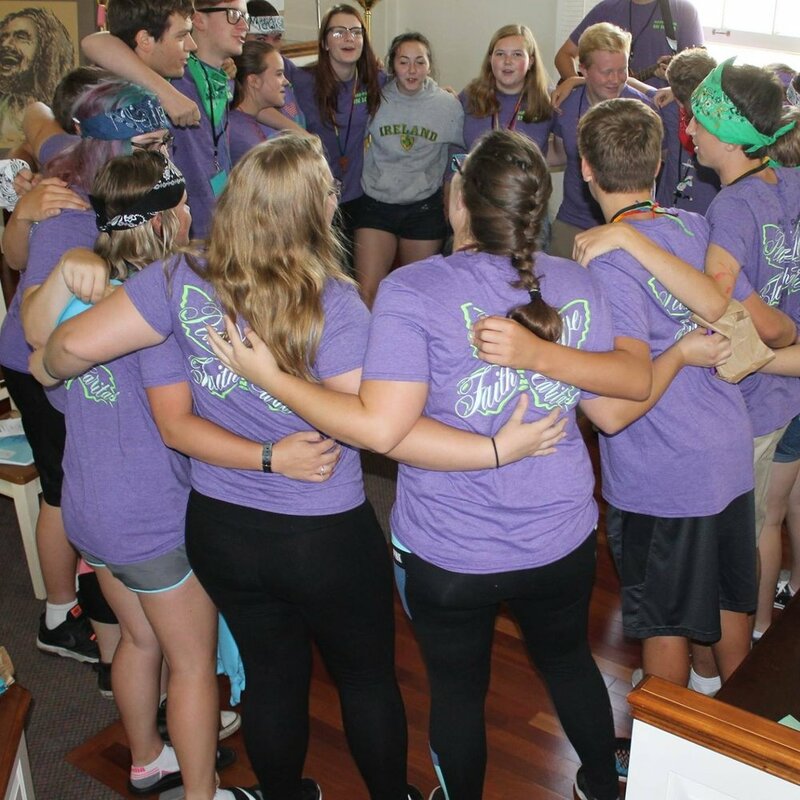 New Beginnings weekends offer an opportunity for young Christians in grades 6-9 to retreat from their hectic world to consider some of the important relationships in their lives—with parents, with siblings, with peers, and with God. The program begins on Friday night at 7pm and ends on Sunday afternoon at about 3pm. In addition to songs, games, and skits, youth leaders present short talks on the topics of self, friends, parents, siblings, school, God’s love, and prayer. Small groups provide the opportunity to learn and share together. Happening weekends offer an opportunity for young Christians in grades 9-12 to "retreat" from their ever hectic world to consider some of the important relationships in their lives--with parents, with siblings, with peers, and God. The program begins on Friday at 7pm and ends on Sunday afternoon at about 3:30 pm. In addition to songs and games, youth leaders present short talks on topics such as reality, Jesus Christ, God's love, and prayer. Small groups provide the opportunity to learn and share together. Youth Ski Trip is a annual winter-fun weekend for youth in grades 6-12. We ski all day on Saturday and have a bunch of activities on Saturday night as well as a closing service. Each year, children and youth participate in our Diocesan Convention, held in Des Moines in October. Programs are offered for all ages and youth attend a lock-in at the Cathedral Church of St. Paul in Des Moines. High School youth also have the opportunity to participate as a delegate. Sundays from 8:00-9:00 am. Throughout the year, Grace offers adult study opportunities based on the themes of the church season, scripture, and/or book studies. All are welcome.